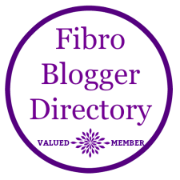 The reality of fibromyalgia is that you just don’t know when the symptoms will subside. Pain is exhausting. It can take over your thoughts and be all-consuming. Those with a chronic illness know this all too well, coping with the often debilitating pain, while trying to carry on with their lives.